We are currently using 50% more natural resources than the earth can replenish and materials consumption and management accounts for between 35 – 42% of energy consumption and Greenhouse Gas emissions in the US. We advocate for a circular economy that supports waste reduction, materials reuse, recycling, composting and products designed to avoid the volume and toxicity of waste and materials, conserve and recover all resources and not burn or bury them. As a result of our successful 2008 campaign to keep incinerators out of the Lake County 5-year Solid Waste Plan and redouble our efforts in waste diversion, the County set a goal to divert 60% of our waste by the year 2020. (http://www.swalco.org/195/60-Recycling-Taskforce) We are on track to meet that goal and now lead the State of Illinois in waste diversion rates. We would now like take planning in Lake County to the next level. The current plan largely focuses on what to do with discards. Reduce, reuse and recycle is a hierarchy. In the most current 5-year Solid Waste Plan, we were able to insert language agreeing to consider a Zero Waste Plan and we are advocating to move forward with that plan. 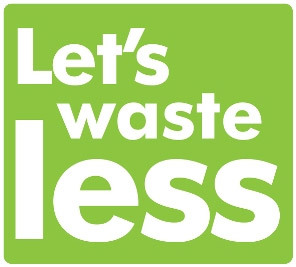 We ask Lake County to form a Zero Waste Task Force, similar to the Recycling task force they formed in 2009, to craft a Zero Waste Plan for Lake County that would reduce the volume of waste and materials, promote reuse and support the use of materials with recycled or composted content.